New downtown benches on Michigan Avenue! 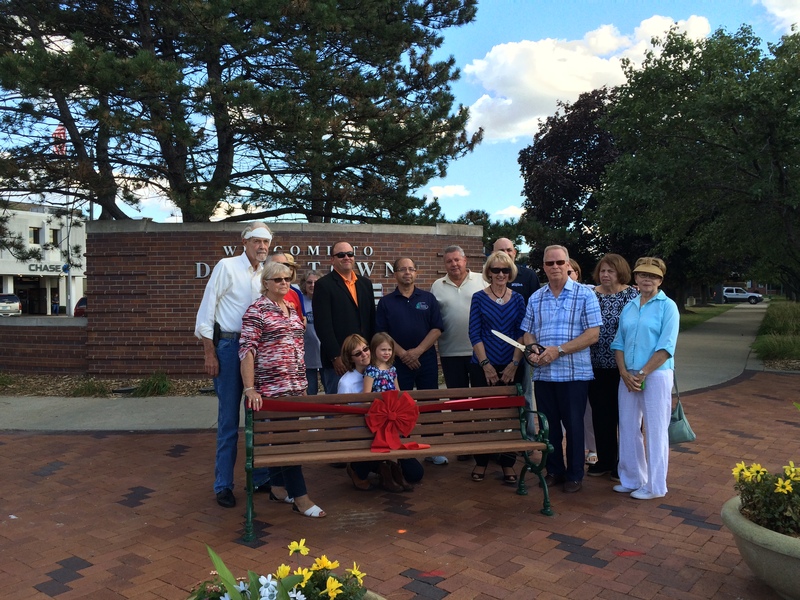 WAYNE, MI- Wayne Main Street’s design committee has placed eight benches along Michigan Avenue in downtown Wayne, Mich. This is one of the many improvements that Wayne Main Street is implementing to improve the downtown Wayne area. The benches now provide a place for residents and visitors to relax while exploring the downtown area. This has also increased the walkability of downtown, which has a multitude of benefits for the community. Over a year ago, Wayne Main Street asked the community what changes they would like to see during a Community Visioning Session hosted by the Michigan Main Street Center. Downtown benches were one of the community’s top responses. For a year, Wayne Main Street’s Design Committee worked extremely hard to make this dream a reality. Wayne Main Street first acquired eight benches from Belleville, Mich. The Design Committee then obtained the required approvals and permits from the City of Wayne and Michigan Department of Transportation. 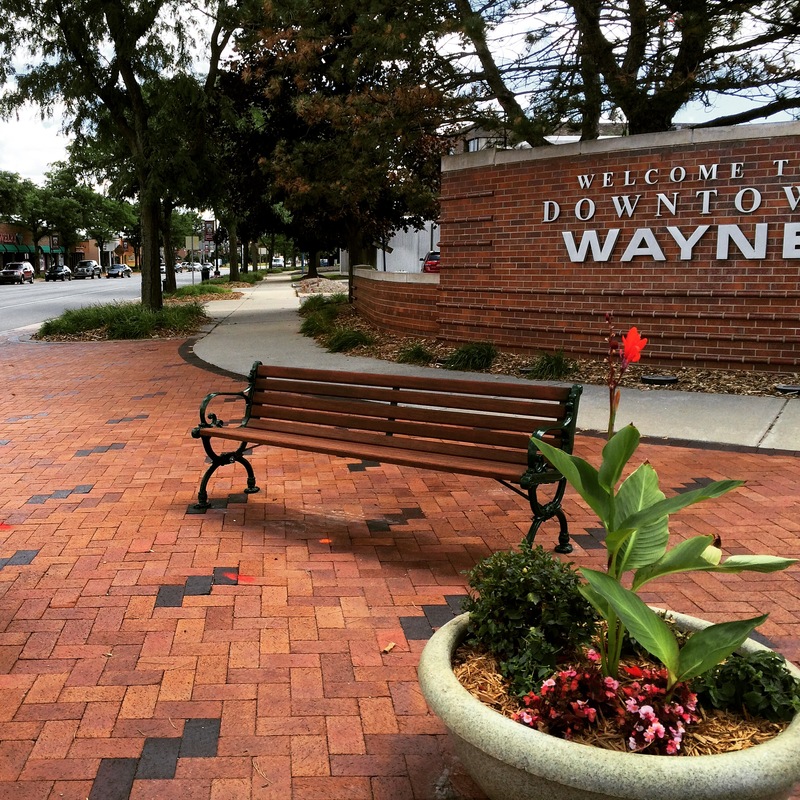 The design committee worked with the city of Wayne’s Building and Engineering and Department of Public Works to plan the installation of the benches downtown. Much thought went into the placement of the benches, including the direction that they face. Many nearby communities were used as examples and discussions were held with other Downtown Development Authorities and City Planners about the matter. Since the sidewalks are very wide with on-street parking to act as a buffer between the bench and moving traffic, the inward-facing benches promote a sense of community engagement. A group of volunteers along with the design committee spent many summer days working hard to get the benches ready for their August debut. With the help of volunteers, the benches were fully restored. A special thanks to: Boy Scout Troop #1736 at First Congregational Church of Wayne, Dale Webb of Plymouth Plating Works, John Rowland of Jacks Sport Center, Dave Tompkins of Tompkins Sandblasting, Mary and Jeff Powers, City of Wayne DPW, Mike Buiten and Kevin Hardy from the City of Wayne Building and Engineering and Tim McClure. Bench sponsorships were offered at $500 per bench to help offset the costs of the project. Bench sponsors each received a customized plaque that will remain on their bench for all to see. Sponsors included: Tried & True Thrift Store, the Noella and Jack Russo Family Foundation, The Copland Family, American Jetway Corporation, an Anonymous Wayne Citizen, the Stockmeyer Family, Rotary Club of Wayne, and Uht Funeral Home.